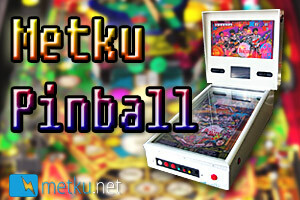 Metku just finished a new modding article, this time they document a project on how to build a digital pinball machine. You can check it out over here. So what is a digital pinball machine? In short, it is a digital recreation of the original ones that you may have played in arcades, gas stations etc. I chose the shape of the machine to be somewhat similar to the original ones but there is no reason to do so if more creative approach is needed.